Crochet Granny Square w/ Ruffles! How stinkin' cute is this! Honestly? 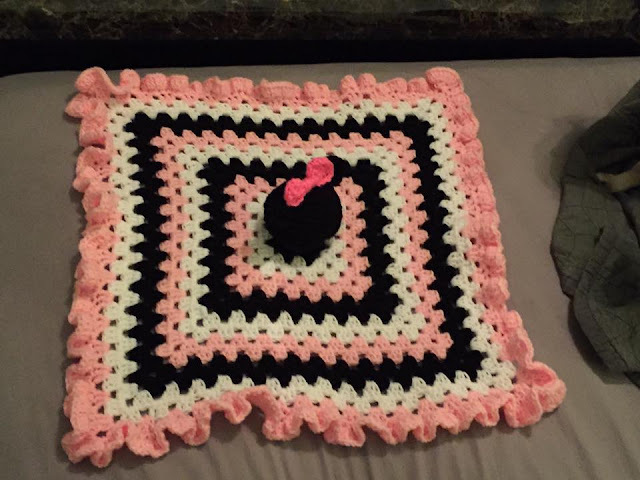 I love making granny squares for many reasons. One, they work up super fast (as fast as you go). Two, you can play with the colors easily and hide tails away as you work. And three, they just look so pretty when they are done, as if you spend tons and tons of hours on them. One this I completely dislike about them is the ends, they just look so plain. 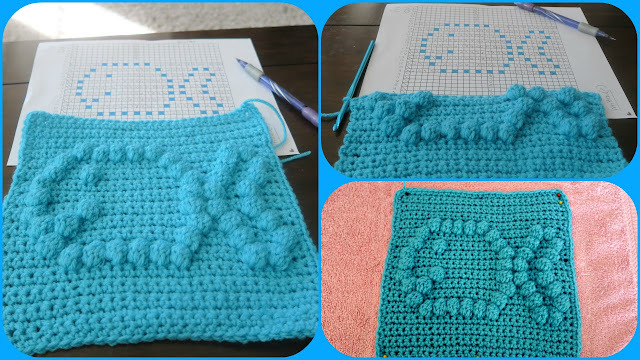 I started by adding the shell stitch to my ends of the granny squares and those ended up being my favorite, but I started to hate the look and wanted more. So, I saw a picture on Pinterest of these ruffles and wanted to figure out how to make them (since it was a paid pattern) I just started working on it until it looked some what like I saw and this is what I came up with. The picture above does have a basic crochet head, two ears, and a basic bow (to make Minnie Mouse- no pattern for this, just make the basic's and you're good) the ears, however, I increased 2 rows and stopped because they looked big enough. I have used this exact ruffles on a baby dress 6 or 7 months ago that I made for my best friend; so cute! I have never tried canned sweetened condense milk because honestly I did not trust it (ingredients and canned lining scared me crap-less). I have always wanted to make my own for hot cocoa, fudge and other yummy treats (once in a while basically). Buying all organic ingredients also helps make this a lot better because you are using pure ingredients and you are not buying something that is processed and junk. Give it a try and let me know what you think..
And whisk like CRAZY. Leave on stove another 5 minutes to thicken it again a little more. After that, allow to cool for 30 minutes in the pot (stirring) and its done. High School was not as amazing as a lot of girls and guys make it out to be. In fact, I hated High School! I always felt like the 'odd duck' out, like no one liked me because I was not the most social and I did not dress all super girlie or anything. Again, I hated High School!! Daniel made it so much better, being able to look forward to someone I cared deeply for to be there daily, made life easier as the years progressed. However, if I did not feel comfortable telling him my feeling, I was going to lose him after High School and I had to kind of start distancing myself from that. At the end of my High School year I dropped out; I could not stand going to school anymore and I just wanted to be done with it (half a year left and I quit! Biggest mistake ever). The years went on, Daniel and I lost contact as he joined the Marine Corp and I had my son (I did get my High School Diploma successfully so I was proud of that I worked really, really hard to get it). Daniel served his country and I was not there to support him like he supported me all those years in High School; I sort of felt like I let the only man I truly loved down (I mean at this point we had know each other almost 10 years and I never ever wanted to let him down but I did). We went separate ways, did separate things and just were not there for one another. After the Marine Corp, he served his four years and got out, he decided to apply to The Ohio State University and got in. He posted, on his FaceBook page, that he got accepted and I was stunned.... In 2009, my father rejoined the United States Army and moved us from Arizona to Kentucky; it was quite the change, but I was so ready for a change, new pace. Arizona held way too many hard memories for me and I wanted to disappear from it. 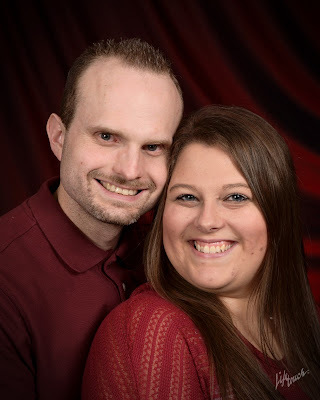 Here I am on Facebook years after loosing touch and I found him. And he WAS SO CLOSE ONLY 5 HOUR DRIVE from me! Sparks flew, my stomach had butterflies just at the thought that he might still care, might remember me... So, I added him and too the risk instead of wondering 'what if'. This is the second, yes second!! Pattern in our bobble stitch blanket! I am so excited these patterns are amazing! I have A LOT of these patterns so if you want a specific one let me know asap and I will work one up!! There is nothing easier than throwing your whole chicken into a crockpot and letting it go all day long (first off it makes the house smell super amazing, and on cold days it heats the house up nicely) and not having to do much, expect flip it half way through. This is simply the best chicken I have ever made! Super moist, and flavorful. Stage 5 chicken I bought at whole foods market, it is pasture raised, no hormones and is just the best choice to buy when feeding your family, but if you cannot afford this (I paid $15.00 for almost 6 pounds, maybe more) then just an organic bird will do. I forgot to picture the chicken done! =[ Sorry! Just know it was amazing and tasty we had none left! BTW (by the way) O-H!!! Go Bucks! 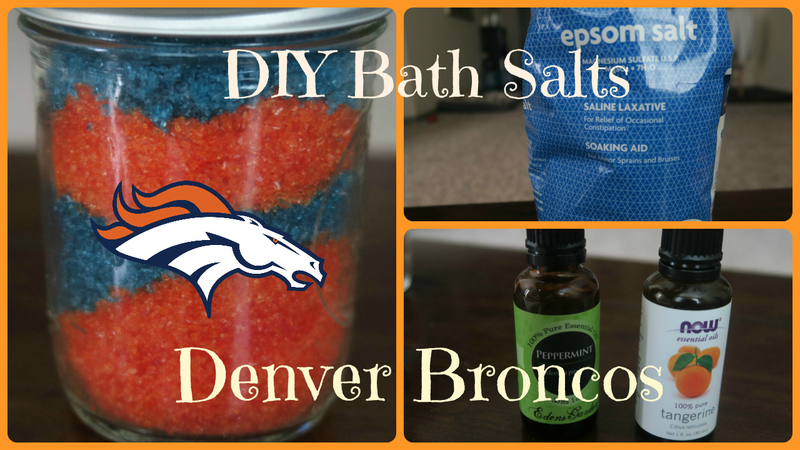 One of my favorite things to make for the Holiday's or Birthday's (or just because gifts) are these bath salts. They are super easy, work up to amazing colors and did I mention they smell so good!! The longer these sit the more enriched the smell is. For this bath salt I used two different essential oils; tangerine and peppermint (I feel like those two flavors merry well together). Remember, with essential oils a little goes a LONG way. I love, love, love smoothies! Cannot get enough of them ever! I also love saving these and adding them to a zipzicle bag and freezing them for the kids! I was given free coupons from Maple Hill Creamery to try their new 100% Grass Fed Kefir (I decided to get the Vanilla, Strawberry 2 of each). I have to tell you, this is literally the BEST kefir I have ever tried. I love the idea of it being 100% Grass Fed, all organic and non gmo. I also am using my favorite chocolate powder (cacao powder). This stuff has a lot of super benefits and is good for you (no need to feel bad for adding a wee bit to your smoothies because you are adding a superfood) BAM!! I plan to incorporate more smoothies into my families diets (this one I wanted to add Spinach and you can, I just did not have any at that moment BLAH). Bread crumbs are extremely easy to make and really do not require much time or ingredients. You can make this with homemade bread; just be sure to use whole wheat because it is, overall, better for you. I make this batch of bread crumbs and it will last me a couple months (unless we make a whole lot of meatballs or meatloaf to freeze). I even gift this for Christmas or birthdays and people seem to really enjoy them (as they always ask for more).